$ jar cvf target/module-b.jar -C target/classes/ . $ jar cvf target/module-a.jar -C target/classes/ . $ jar cvfm  target/module-a.jar Manifest.MF -C target/classes/ . Java does not provide any standard way to load nested jar files (i.e. jar files that are themselves contained within a jar). This can be problematic if you are looking to distribute a self-contained application that you can just run from the command line without unpacking. To solve this problem, many developers use “shaded” jars. A shaded jar simply packages all classes, from all jars, into a single 'uber jar'. 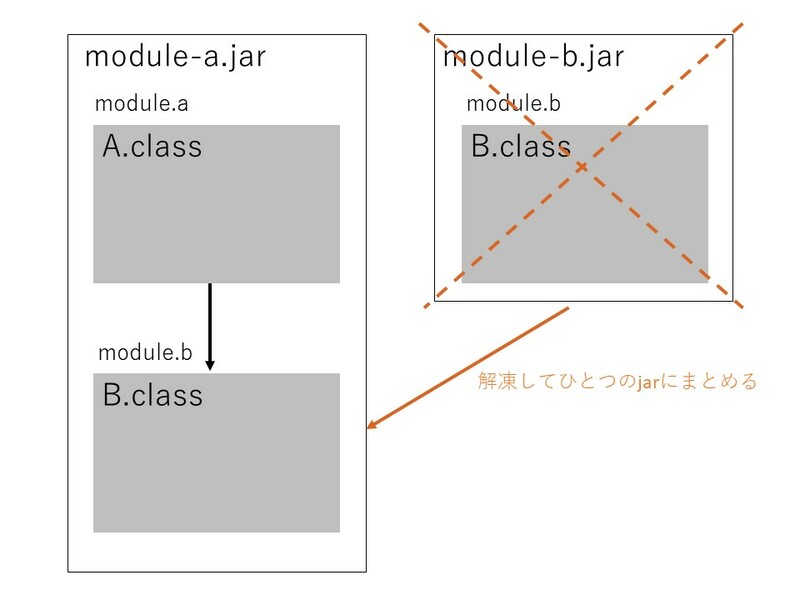 The problem with shaded jars is that it becomes hard to see which libraries you are actually using in your application. It can also be problematic if the same filename is used (but with different content) in multiple jars. Spring Boot takes a different approach and allows you to actually nest jars directly.